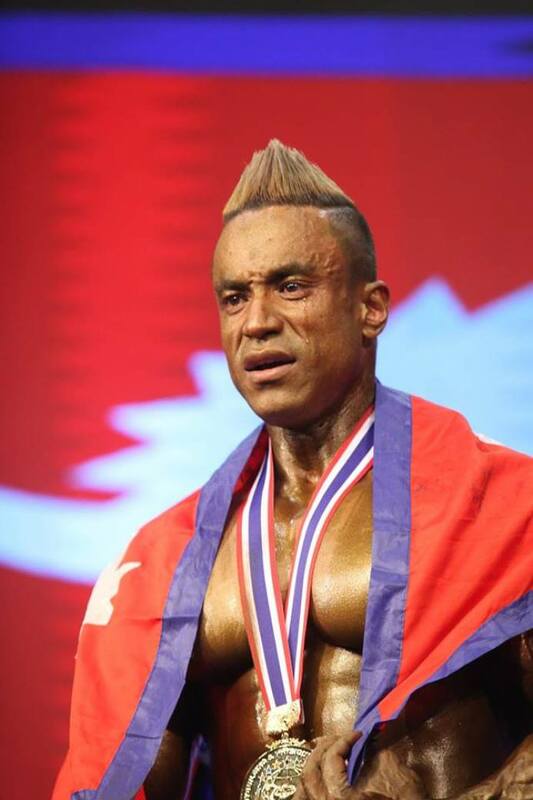 Mahesh Maharjan win Gold Medal 75 Kg in 10th World Bodybuilding Championship Thailand. mahesh maharjan of nepal wins gold medal in 75 KG 2018 december 15. On the Winning Ceremony the National Anthem Was Played, However the National Anthem of Nepal was played but it was the Old one. Mahesh was seen crying after the National Anthem was played. It was such an emotional moment from him.